on medium heat until brown. the short ribs are covered. until short ribs are tender. the last minute and reduce heat. stock pot on medium heat. the snow peas in a separate pan. 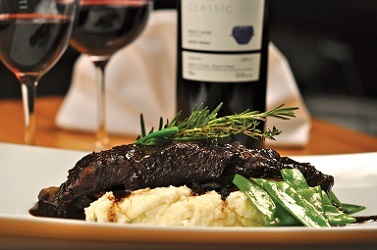 short rib on top (see picture).